The Finishing Touch: What a difference a day makes! What a difference a day makes! Yesterday we were enjoying early Autumn and today Summer has returned. 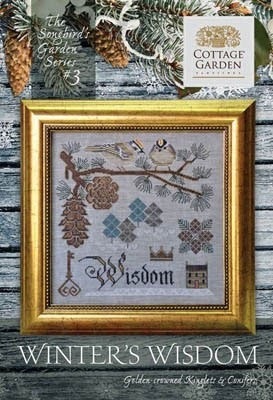 Luckily, needlework designers keep moving at their impossible pace to bring us projects and ideas to cover all seasons. We have a number of these new designs in the shop and more on the way. Join us for a 2-day sale to celebrate the upcoming season. Take 20% off your total order on Friday, September 21 and Saturday, September 22. This sale covers all inventory in the shop on those two days. Come join the fun! 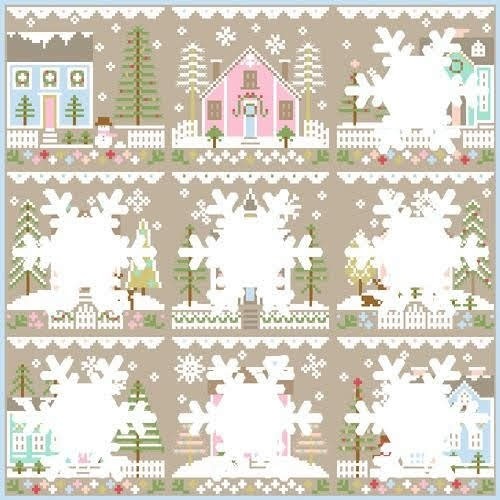 Coming Soon from Country Cottage: Glitter Village is a series of 9 designs that will be released consecutively for 9 months. Each small house can be stitched to stand alone or put together to show the entire village. Thus far, we have seen only two houses but, as always, they are darling. A photo of the village is shown in the picture section. 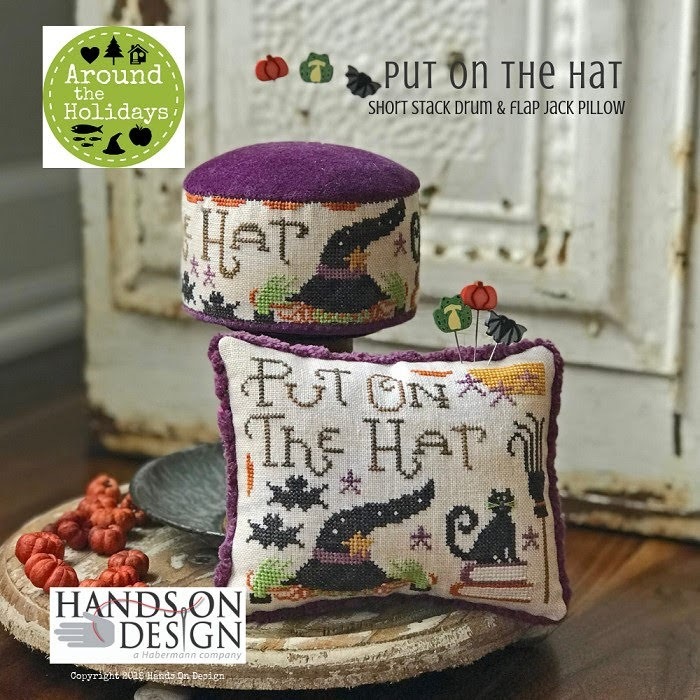 Some of the other new things shown below include: Put On The Hat by Hands On Design. This Halloween design needs no explanation, as it says it all. 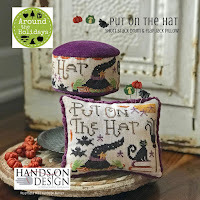 All you need is a hat and a cat! 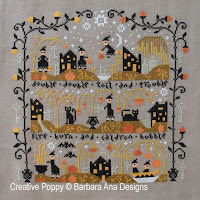 Barbara Ana has an outstanding 3-part Halloween design titled Black Cat Hollow. 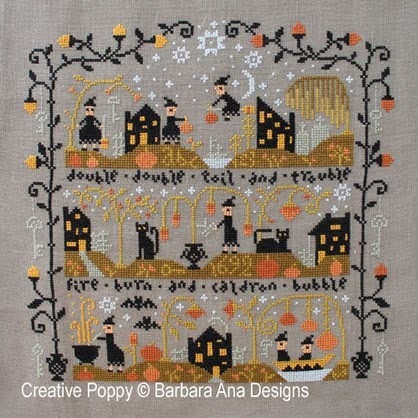 Each section includes busy little witches and their black cat partners surrounded by pumpkins. See photo. Heart in Hand has a new addition to her Bird Sampler Series. 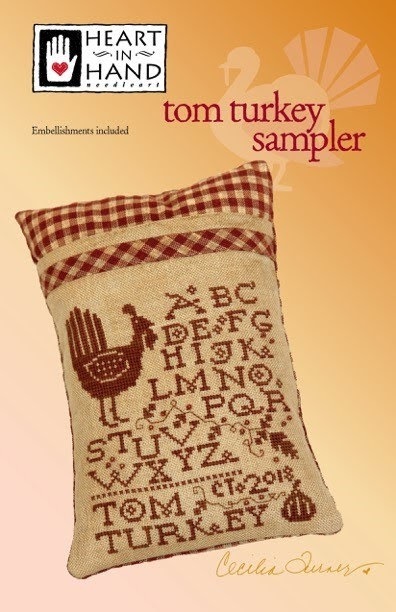 Tom Turkey Sampler is a folk art, handsome, monochromatic turkey. Great addition to your fall display. 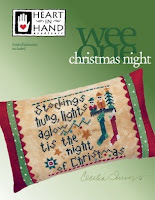 Cecilia also has two new Christmas designs: Wee One: Christmas Night features stockings and a neat holiday verse. In addition, there is a sweet little ornament titled Wee One: Glad Tidings. 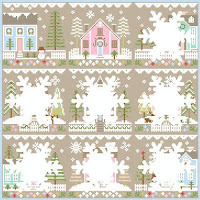 A peaceful crèche sits atop a snowy hill, carefully guarded by three little animals. We also have the Wee Santa 2018 by Heart in Hand. 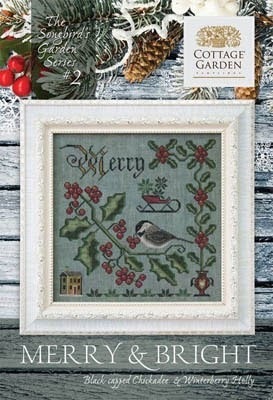 Two beautiful bird designs have just arrived from Cottage Garden. Merry and Bright features everyone’s favorite cardinal sitting in a surround of greenery and red berries. Also, Winter’s Wisdom which shows 2 Golden-crowned Kinglets and Conifers. Beautiful! Watch for our Halloween specials in late October. 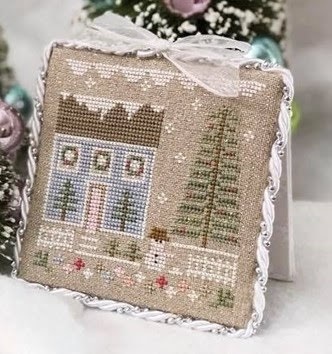 Happy stitching while you enjoy this beautiful season.